Versatility. It’s something we all search for in many aspects of our business. It’s also one of the reasons that the digital synthetics category is growing so fast, due in large part to everyone trying to get the most from the significant financial investments they’ve made in their digital equipment. Having products like Fusion Digital Paper™ allows the versatility of your digital equipment to shine. to serve as a permanent beverage label. 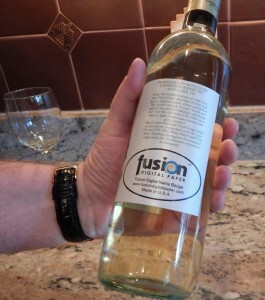 Pictured to the left is a wine label printed on Fusion Digital Name Badge that we believe is a perfect example of what you can produce on your digital equipment. This is due in large part to our unique adhesive, which is an incredible apparel adhesive that adheres great to clothing apparel all day and yet peels off cleanly when your event is over. However, when you apply this adhesive to surfaces such as glass, it is a permanent adhesive which makes it outstanding for wine and beverage labeling applications. The other feature that makes Fusion Digital Name Badge excellent for premium beverage label applications is the satin acetate face stock which is both rich to the touch and gives an appearance that exudes quality. The fabric face stock has a beautiful pearlescent sheen to it. This helps your beverage stand out while it sits on a crowded shelf among other products. will stand out from the competition. Finally, take a look at the outstanding print fidelity you can achieve with the pictured sample of Fusion Digital Name Badge. 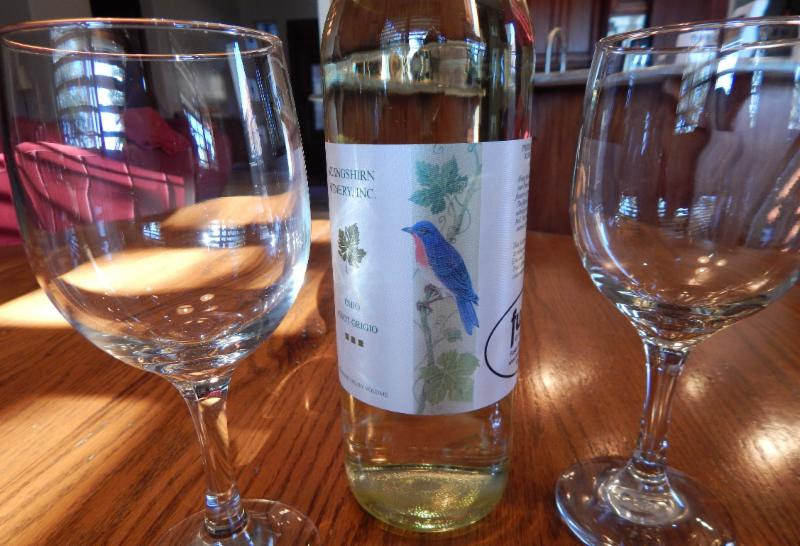 Our proprietary top coating is the finishing touch that positions our product at the top of both the premium name badge and backstage pass market in addition to other applications this product is suited for like the wine and beverage label market. One of the most enjoyable parts of my job is working with customers on new opportunities they have because Fusion Digital Paper’s™ comprehensive array of substrates usually allows us to provide a creative solution for them that matches the right Fusion substrate to their application. 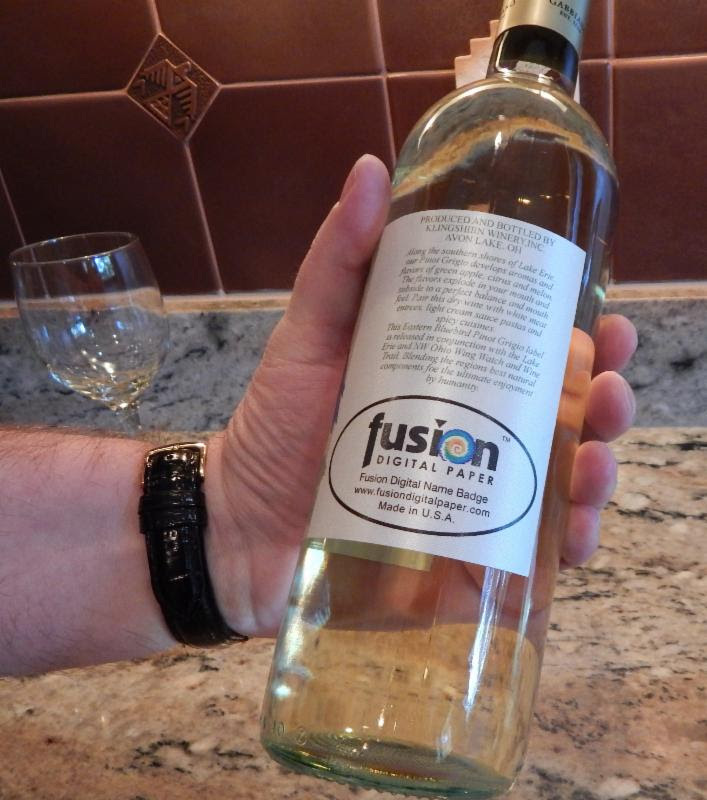 We have a saying here at Fusion that “you’re only limited by your imagination,” and this Fusion Digital Name Badge “wine label” application is a perfect example of this.